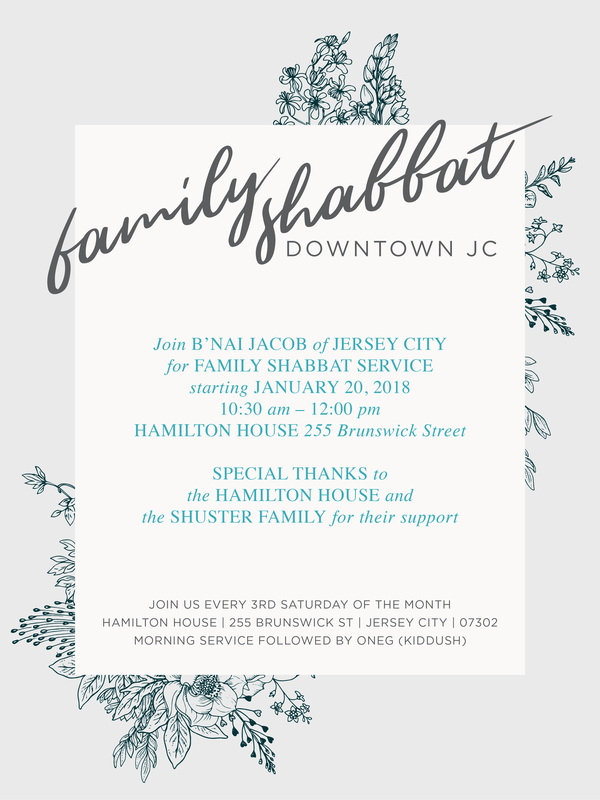 Good news from B’nai Jacob. Many of us have been thinking about our future and we want you to be the first to hear about our thoughts to continue the legacy we began almost 60 years ago! Beginning in 2018 we will have a series of monthly Shabbat services, one Friday night and one Saturday morning each month, led by Rabbi Aaron Katz – and always followed by refreshments! Our congregation is growing. Participation in community needs as well as spiritual needs is our goal, hopefully with you joining us. Help us determine the next 60 years. 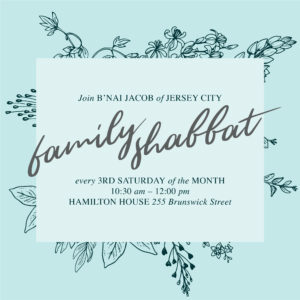 Join us for our first Shabbat Service in a part of Jersey City that is easily accessible. FIRST DATE: Saturday, January 20, 2018 at 10:30 AM. 225 Brunswick Street, corner of 10th Street in Downtown Jersey City. If you need further information call Rabbi Katz at 305-607-9062 or e-mail him at rabbiaaron1@gmail.com. Looking forward to seeing you on January 20th!